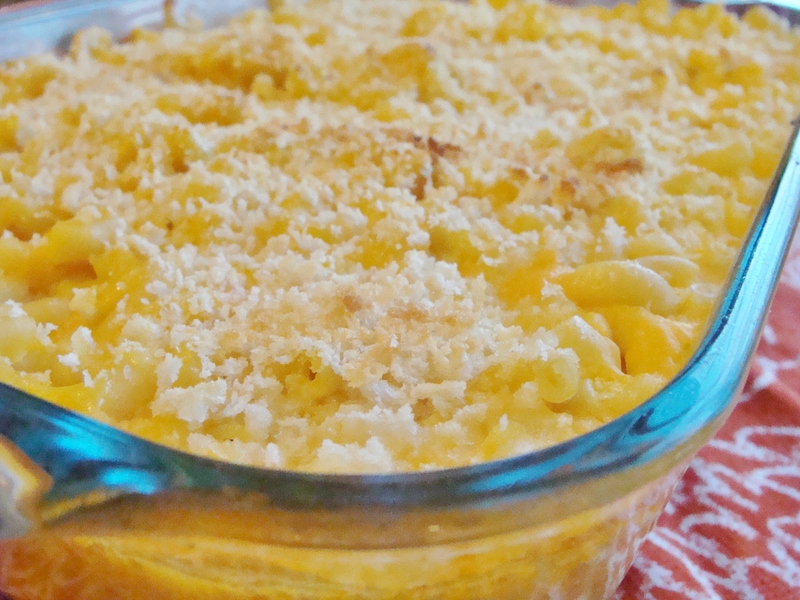 butternut squash macaroni and cheese. Two perfect butternut squash had been sitting on my kitchen counter for several weeks. 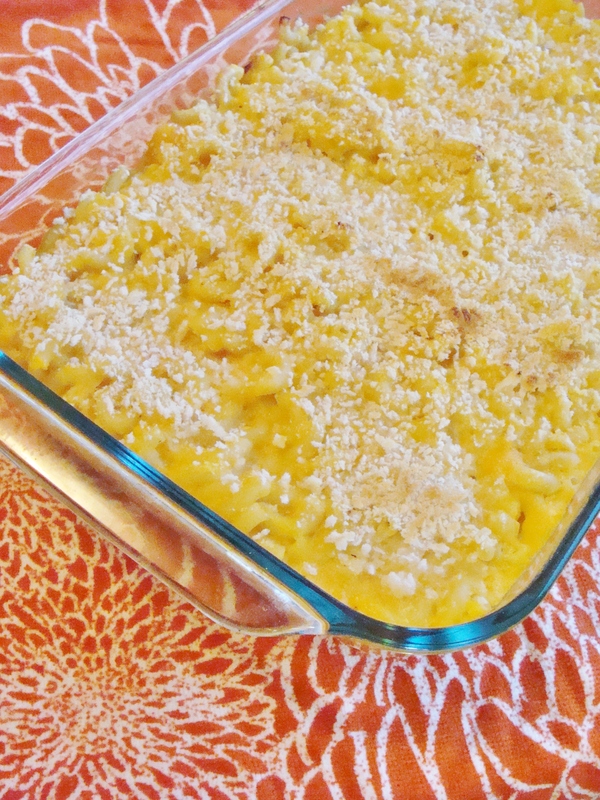 Finally, on Sunday, I decided to make the first butternut squash recipe of the fall season, something I’ve never tried before: butternut squash macaroni & cheese. This recipe is good comfort food, but also fairly good for you–no heavy cream. The sweet flavor of the squash really steals the show. If you’ve never peeled and chopped a butternut squash before, lemme just say this: It’s some serious business. Consider it your arm workout of the day. Begin by peeling your butternut squash. I suggest slicing off the ends, holding the squash against your chest, and peeling away from you. Slice the squash in half, long ways, and scoop out the seeds and stringy flesh. Then, chop the squash into 1-inch cubes. Bring your chicken broth and milk to a boil in a medium pan. Add the cubed butternut squash and minced garlic, then reduce heat to low and simmer for 35 minutes—the squash should be very tender. After the squash mixture is done simmering, add two tablespoons of Greek yogurt, plus salt and pepper. Now it’s time to blend! I chose to pour the mix into a large bowl and use my immersion blender. You could also pour the mixture directly into a blender. After you’re done blending, fold in your cheese. Then, fold in your cooked noodles. Pour the macaroni into a greased baking pan. Sprinkle the Panko bread crumbs on top. Bake in a 375 degree oven for 25 minutes. If you like, broil for 1-2 minutes on low to brown the bread crumbs. This is particularly yummy right out of the oven–all hot and gooey–but the leftovers have been heating up well for my lunches this week! 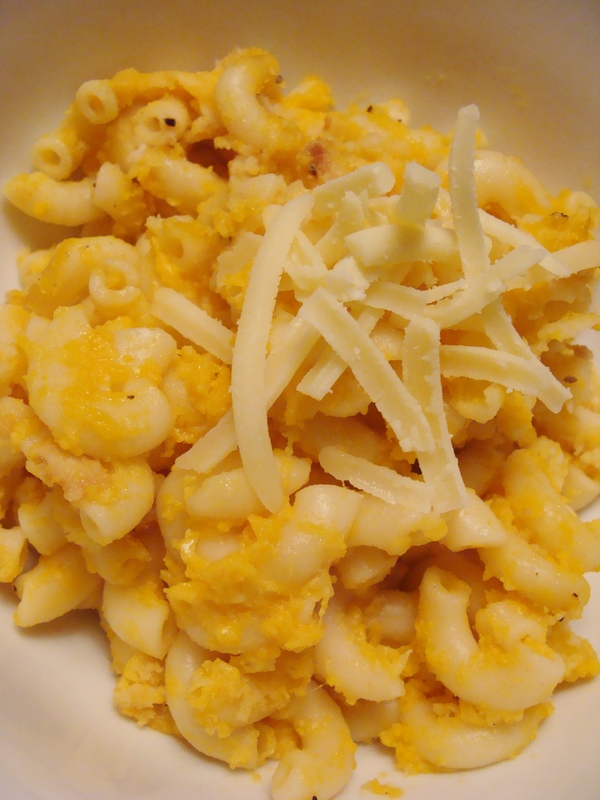 § 2 Responses to butternut squash macaroni and cheese. What size “box of macaroni” did you use? « roasted veggies with roasted grape sauce. 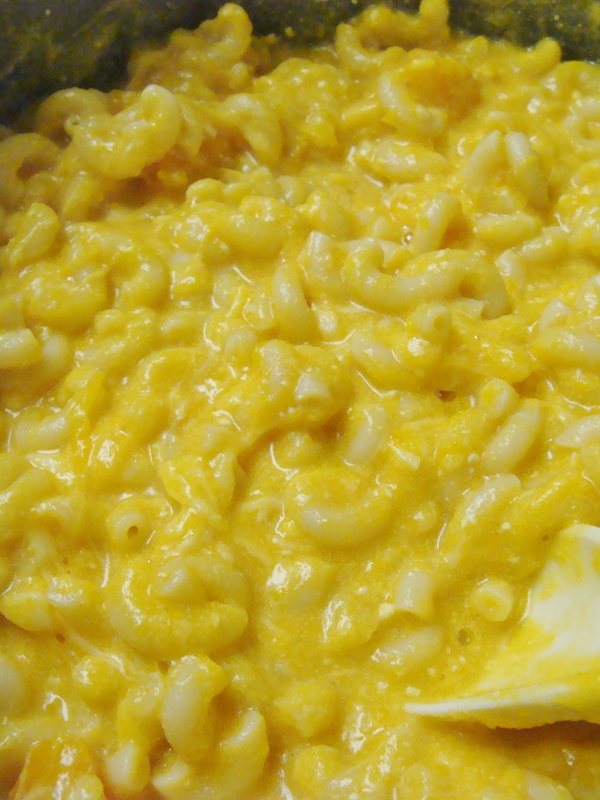 You are currently reading butternut squash macaroni and cheese. at The Cheesy Kitchen.